I've posted pics of this thing in various threads at different times, but apparently I never actually put together a single thread that described the rig from beginning to end. So here goes. 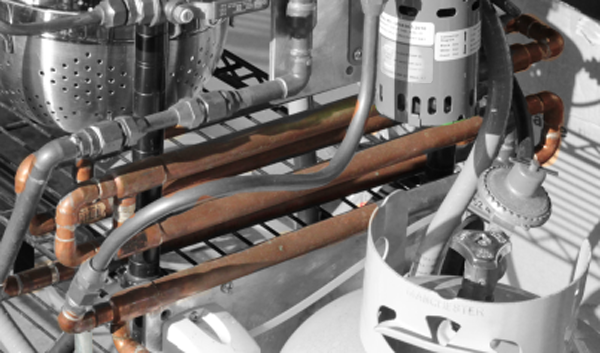 These objectives were met with a design that requires only two kettles, is compactly installed on a rolling cart, and has all plumbing, connections and required components securely mounted to the cart itself. Fully cleaned and ready to go for brewday, the whole rig can be rolled into place and only two connections are required to begin the brewing process. 1 electrical connection via the 25ft high-power electrical cord, and 1 water connection which hooks into the municipal water supply via a regular garden hose type connector. everything else is pre-installed and plumbed in-place. What kind of cleanup do you do? Do you break all your connections? Or just CIP? When are you coming to VA to build me one? the vessel on the right hand side marks J'S is the mash/lauter tun. 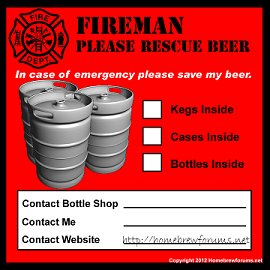 it has a very simple false bottom in it that is made from the circular top of the keg that was cut away to make the opening. a small piece of stainless mesh over the top completes the lauter bed and give me a highly compact MLT that can hold a lot of grain. the picture below shows it without the false bottom installed, you can see how the dip tube drops straight down the middle, where the spear would go. The little wire mesh screen the drops down on top of that to keep grain from going through the gap between the pickup tube and the collar of the keg top. 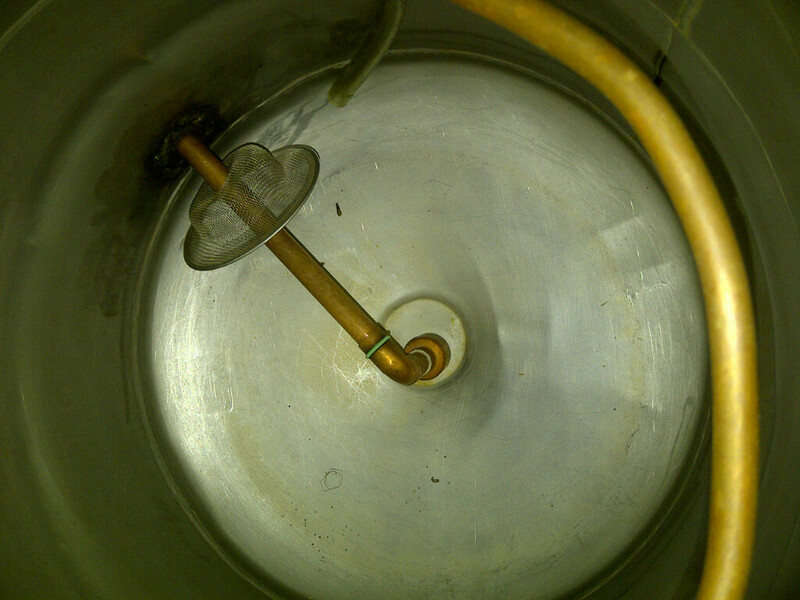 The mash tun is un-heated, the strike and sparge water is fed through a heater element on the back of the rig, up through a copper tube, which bends over the top of the MLT and then curls inside the tun to form a fixed sparge arm. 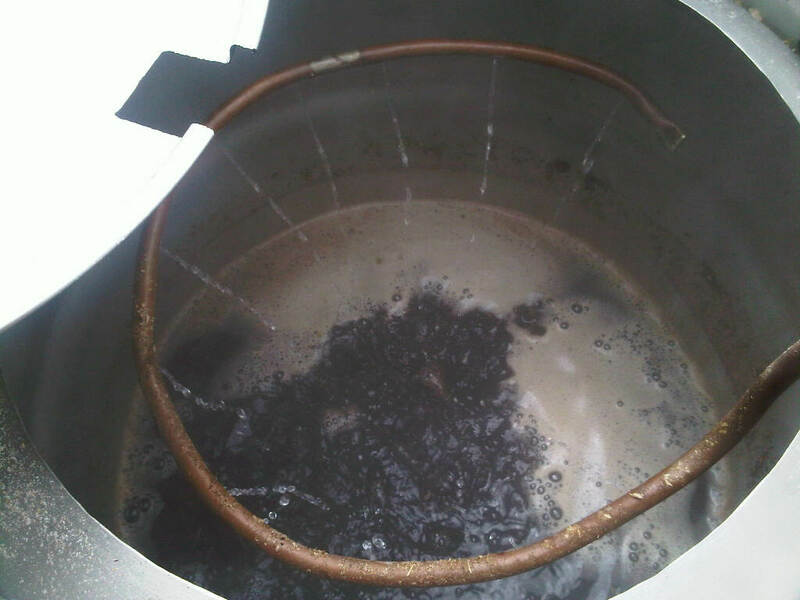 Transfer from the MLT to the Boil Kettle is accomplished through opening the exit valve on the kettle, then opening the correct transfer valve on the valving control panel. 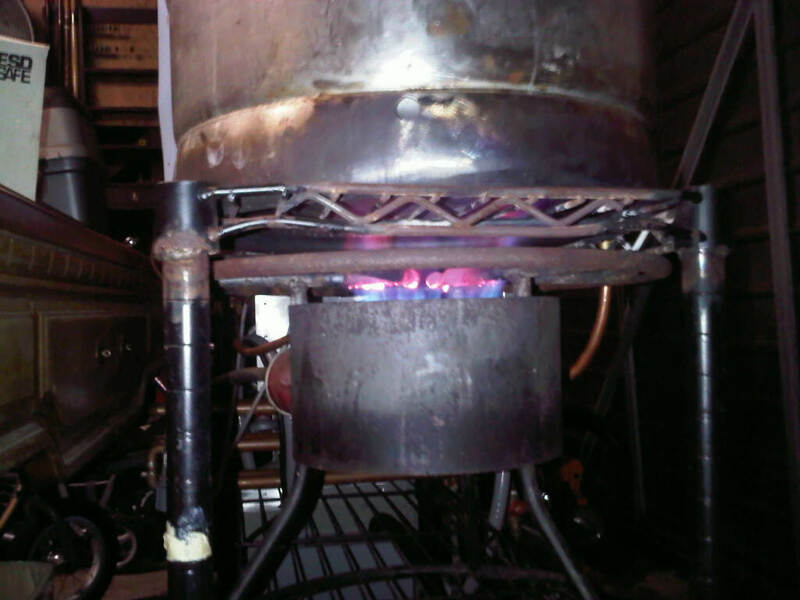 Unlike the "electric MLT" the Boil Kettle is propane fired. 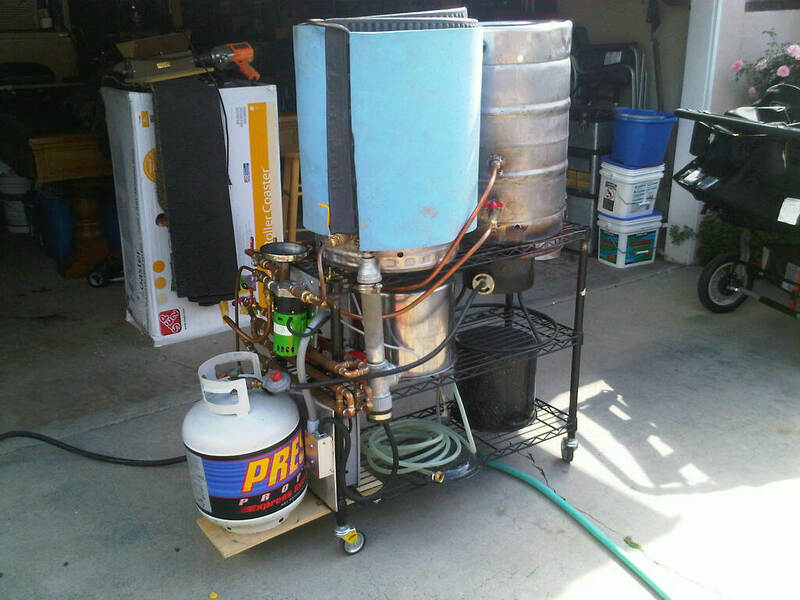 Propane is much more cost effective for the boil and much. much faster. 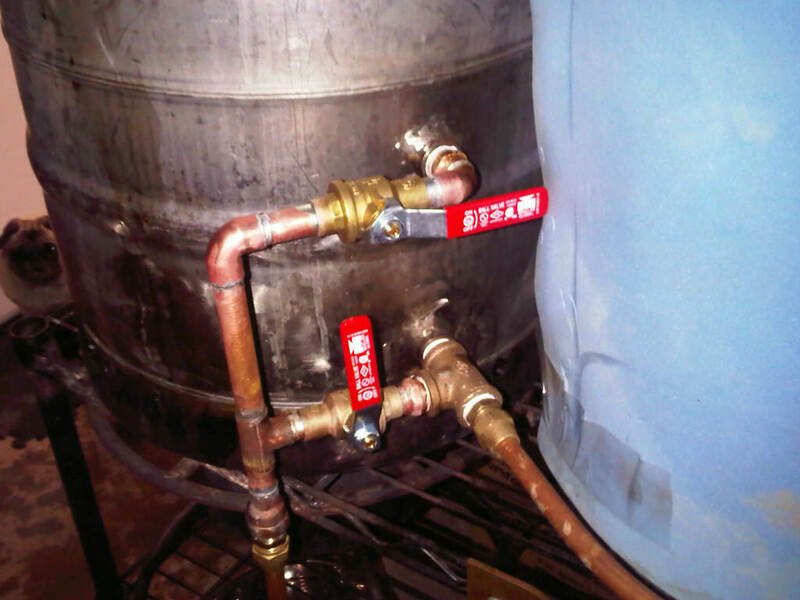 draining the boil kettle can be done through one of two exit ports, one placed high on the side of the kettle and one at the bottom for final draining. Selecting the upper exit allows me to recirculate the wort through the chiller without picking up a bunch of hot break and chopping it up into haze forming bits. 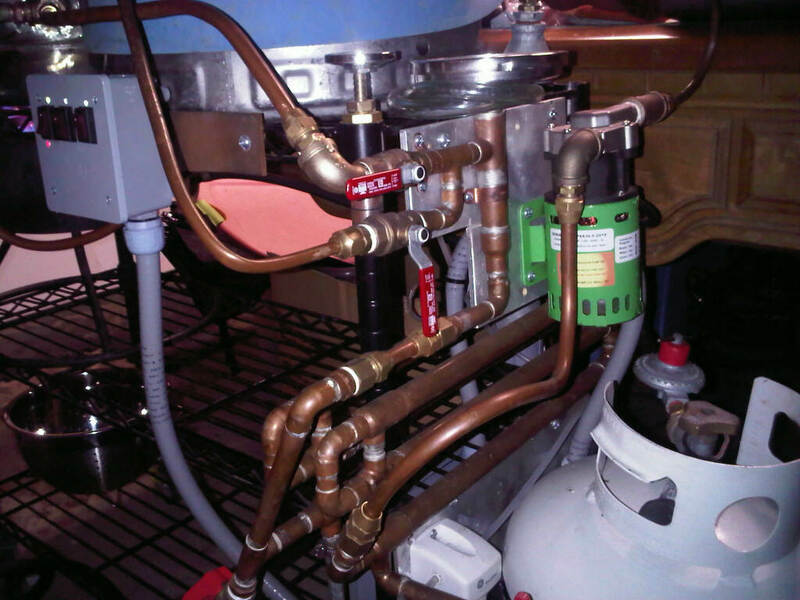 The chiller is integrated into the plumbing network and part of the the rig itself. it's comprised of 1/2" tubing inside 3/4" tubing and though it's compact it's has around 150 sq in of heat exchanger surface. well that's about it. 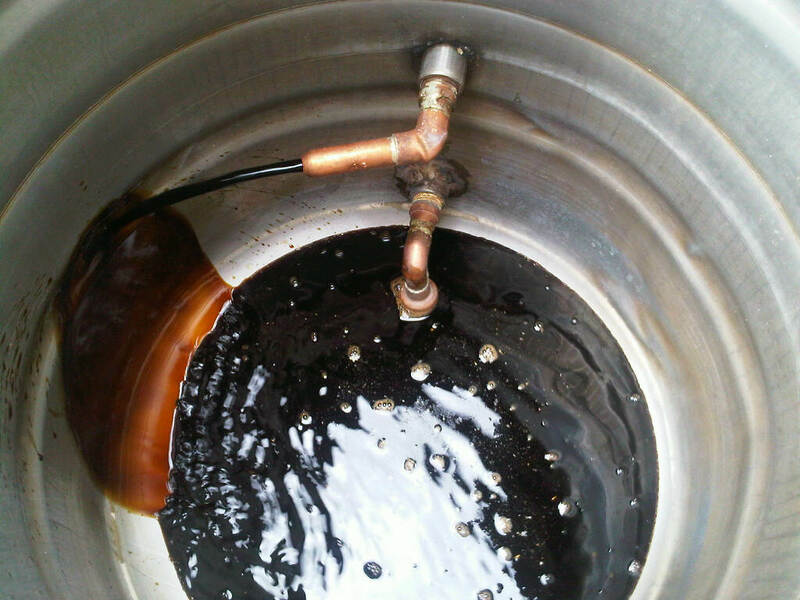 after recirc you open a valve and transfer to the fermenter. Sorry for the pause in the middle of the post... i fell asleep at the keyboard..
it was for about 4 months of my life... then kids, boats, and life happened. I usually pull the mlt off (two flare fitting connections) so i can rinse out all of the grain. everything else is CIP. just heat some water and recirc through all the plumbing with hot PBW. 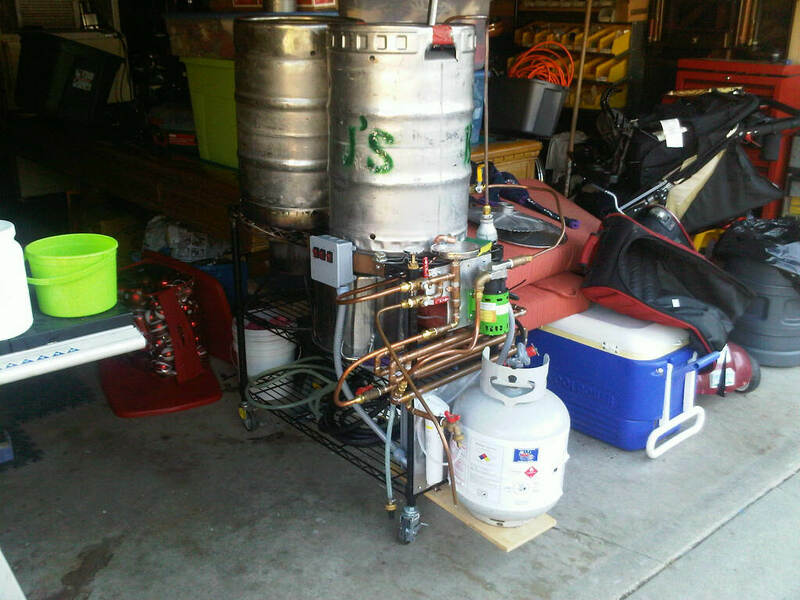 That excited about your brew rig?